For as long as Logan can remember it has been whispered that his father wasn’t the Arcon. He never wanted to know the truth, but after discovering he can do things no pure Earthmaker could do, he decides he needs to know. Logan and Astarti race to discover the truth, while running from the evil Belos. 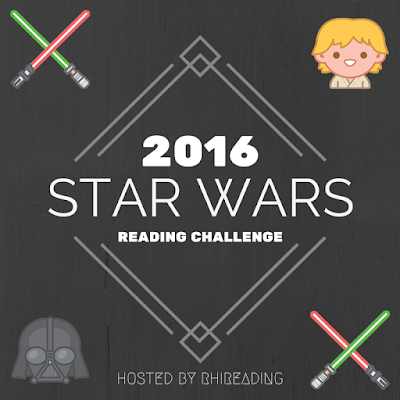 This is a sequel, but any spoilers for the first book are clearly marked. 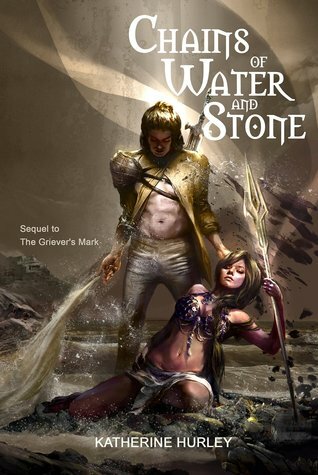 See my review of Griever’s Mark. Note: the characters never dress like they do on the cover. It’s not that kind of book honest. It took me a moment to remember the events of the past book, but it came back. (Definitely not a stand alone sequel.) Astarti annoyed me at first. I understand she’s angry, but she’s so bitter and mean! Either she improved or I got used to her though, because she only bothered me at the beginning. The mystery of Logan’s origins was well done and I never would’ve guessed it. I enjoyed how it was woven into the world. The world building was one of the many things I loved about the first book. It continued to be well done and oh so cool! (Whispers “mermaid”) Some things which weren’t explained now make perfect sense! I love the intricacy of the world! I didn’t like Logan’s POV in this one. (Spoilers this paragraph!) He’s been captured and tortured, though we only witness the psychological not the physical torture, it’s still pretty bad. Then he understandably has PTSD, which is handled well, (which is rare, and I appreciate) but I just don’t like PTSD in books. We do meet a couple of good new characters. Mostly Horik, the king’s champion. He’s big and tough and such a sweetie! There’s still a little romance, but it isn’t nearly as fun as book one. (I keep saying that, don’t I?) It was dark and serious instead of fun and teasing. There are a couple lighter moments, but then they’re sucked back down. In 2013 Alora is an average teenage girl living with her aunt. Her parents dropped her off as a child with no explanation and she hasn’t seen them sense. She wants to know about them, but her aunt is very secretive. Time travel and super powers, how could I resist! To say I’m picky about time travel stories is an understatement. 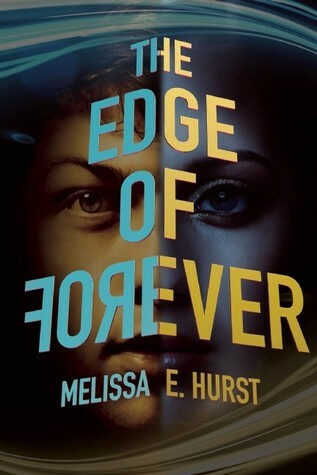 And I approve of how Edge of Forever did it! As for powers time bending is obviously used the most, but there’s also space bending (teleporting) and mind reading. There are times at the beginning where Bridger’s actions may seem irrational, but considering what he’s gone through it’s understandable. I wouldn’t be able to resist trying to save my dad if I had the powers to travel through time and I think that’s ultimately what Bridger wants, to understand why his father died along with why he has to save Alora. As you can tell there are several mysteries going on. Some were really obvious, but others I didn’t guess. Everything starts horribly for both of our main characters. The POV shift worked, balancing the intensity of Bridger’s life with Alora’s ordinary life going to school. There isn’t a ton of world building since Bridger already knows how the world wound up this way, so we mostly get hints. The technology all seemed realistic, though I kept wondering what stuff looked like. So the data thingy goes on your wrist? How big is it? How can it send an image? There’s also a bit of romance, but no love triangles! Alora’s picked on a lot in school. I usually avoid books with bullies, but it’s not a main part of the plot here. I like time travel where you can change the past, but not large events or create a paradox (like in Doctor Who) or where anything you do in the past has already effected your present. (Like in Pern and Harry Potter) Which do you prefer? Or do you not like time travel stories? I don’t care, as long as it makes sense. Once you get into the whole paradox thing (like accidentally killing your grandparent) I get confused.